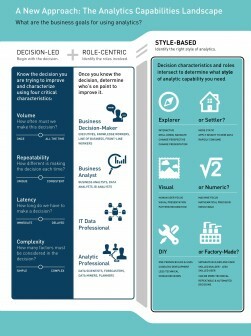 We have just published the Analytics Capability Landscape Research Report and Infographic. This new research report looks at the increasingly broad portfolio of analytic capabilities available to enterprises today asking the real question – what situations need which capabilities, who is the target user for these capabilities, and how can this portfolio of capabilities be managed most effectively in an era of Big Data? Register for this free report and infographic here. Thank you to our research sponsors OpenText and FICO.